We stock a large range of wireless uplighters to suit all your needs, from indoor to outdoor IP rated. We also stock Hex and RGB models for ease of use. We can also supply the wireless sender for each model to allow DMX programming for simple control with a desk! We can offer this product as a dry hire, delivery & collection and even with a technician for a larger event. We also offer great discounts for larger qtys and long term hires. Please feel free to contact us to discuss your requirements. 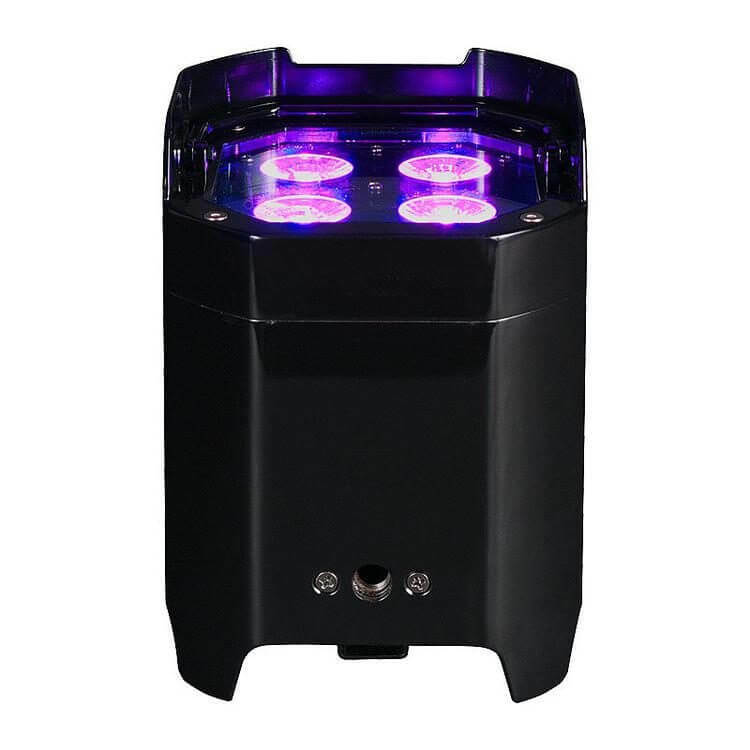 Here at Fusion Sound & Light we now offer wireless LED Uplighters as part of our hire stock for London, Surrey & Kent. We can also offer this service in surrounding areas such as Sutton, Epsom, Surbiton, Kingston, Wimbledon, and Croydon amongst many more. LED uplighting is a very popular effect; these can really transform any venue – as they are completely wireless, these can be set up in minutes and placed anywhere inside safely with no trip hazards. They look amazing at weddings and they have been used across London, Surrey & Kent to stunning effect. The 4 x RGBWAUV LEDs in each unit means any colour combination is possible! These wireless LED uplighters are truly 100% wireless. They operate using a high-powered battery, which will be fully charged on delivery (or collection from our warehouse). We can also program them for control via wireless DMX (a Wireless DMX Controller will be required) there is no need for even a single cable! You can also control them easily from a standard IR remote control making changing colours at the touch of a button a breeze. The internal batteries are capable of running for up to 20 hours* of continuous use on a full charge, meaning that they can outlast the duration of even the longest events (*this is dependent on the colours being used and the environment in which they are placed). You are welcome to collect from our Warehouse Office in Croydon, or we can offer a delivery and collection service with a minimum of 6 uplighters. 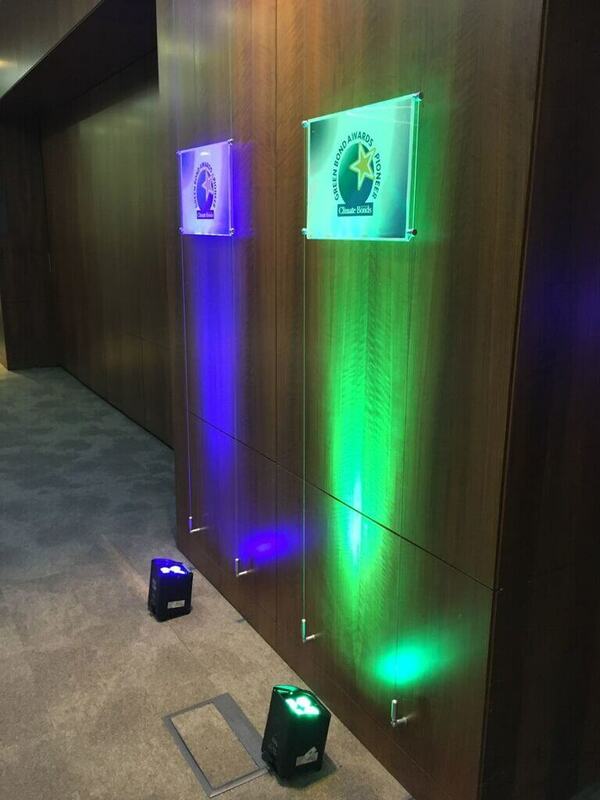 SMARTBAT is a portable battery-powered uplighter designed as accent luminaire for all kind of events. SMARTBAT is equipped with a lithium battery pack and a built-in WiFi module for cable- free operation. The ultra- compact and lightweight design makes this projector truly portable and rechargeable countless times without “memory effect “. The internal battery has an autonomy for 12 hours in colour change mode and up to 8 hours in full output, while the charging time is only 5 hours. 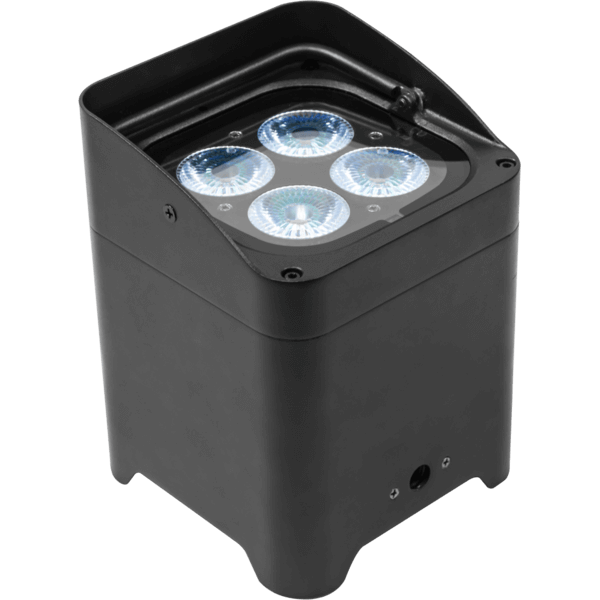 The light source is composed of 4x8W high-power RGBW LEDs / fullcolor for a colour calibration in the full-spectrum and the extractable foot allows you to adjust the angle of the beam to assist tracking operations. The transmission of the DMX signal is via WiFi technology , the transmission unit WIFIBOX is compatible with any DMX controller or through the application SMARTCOLORS available for any Android smartphone.